Middlewood House – Nr. Launceston, Cornwall. 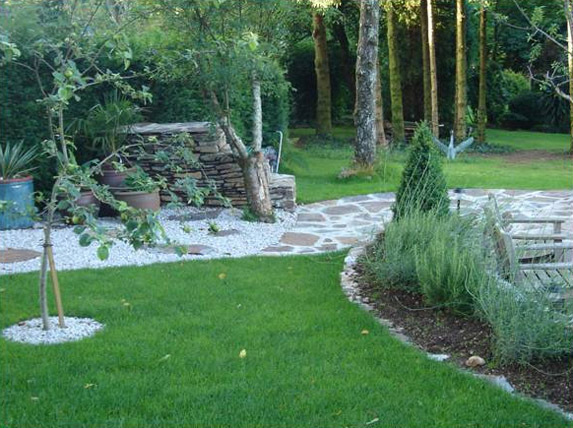 A small landscaping project we were asked to carry out to the gardens of Middlewood House, near Launceston. The property was once an old Baptist church but is now converted into residential use. 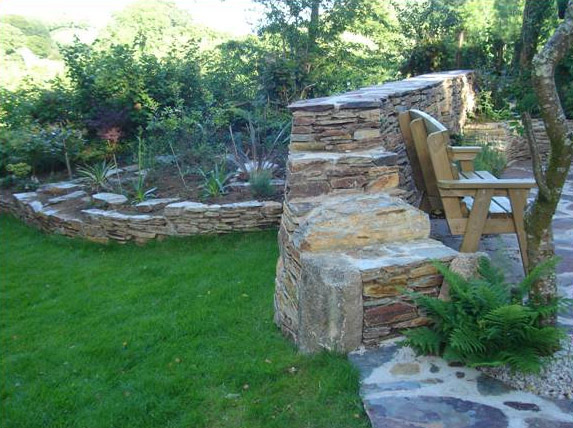 The work involved building drystone walls, gravelled paths and some raised flower beds. 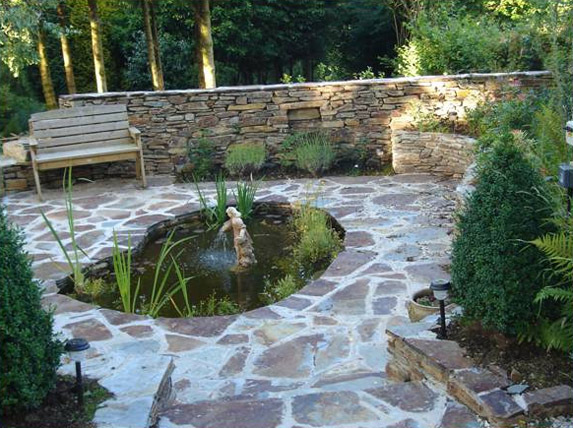 A pond was created, a fountain installed and rustic Cornish slate was used to pave around the pond. 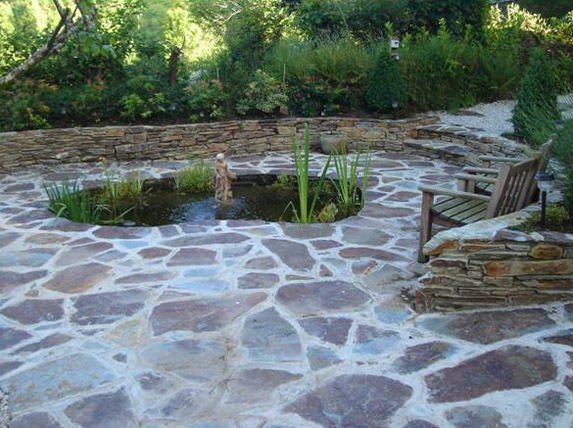 The slate and stone came from a quarry at Delabole.